Download a notary application to your computer. Includes 2 each of 17 different types of legal forms, including: Acknowledgements, Affidavits, Bills of Sale, Contracts for Sale of Real Estate, Vendor's Lien, Wills, Warranty Deeds, Quit Claims Deeds, Power of Attorney, Mortgages. The Mark Maker Embosser is the easiest Notary desk seal to use, requiring less effort and producing a cleaner, sharper impression than its competitors. This embosser also has a professional-looking engraved brass replica of the seal layout on the top for ready identification. With your Michigan Notary Law Primer, you'll have the confidence to perform any notarial act - even the difficult ones - correctly and easily. Everything you need to know about Michigan's Notary laws and regulations is covered, written in easy to understand language. Comes with your name, county, and expiration date. 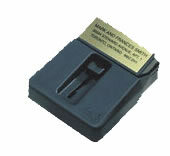 A durable, self-inking stamp with ink pad included. Slips easily into pocket or purse. (Other rubber stamps ordered on request). This updated, "how-to" text is a must on every bookshelf. Easy-to-read descriptions and explanations cover in depth every facet of a notarial act. Why notarization is necessary, how it is performed properly, powers, limitations, civil and criminal liability, jurats, acknowledgements, affidavits, record keeping and much more. This text also offers valuable information to avoid fraud, forgery, and lawsuits. Comes with name, county, and expiration date. 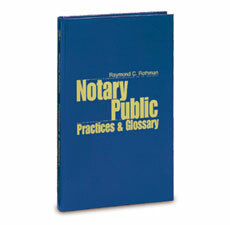 Excellent for notary documents, affidavits, acknowledgements, important papers, etc. Clean, compact, and convenient. Includes name, county, and commission date. 5 line stamp. The Mark Maker Attache' is a stylish modern approach to organizing a notary's records. Hish quality black vinyl cover, brass highlights and sturdy well-designed construction combine to provide the notary with a presentation package that reflects the professionalism of his or her firm and client. The Attache' kit comes with an award-winning Mark Maker embosser in its own section of the case and a built-in handle for convenience. Rules for entries on ledger paper. The simplest official Notarial record devised. Tells where to write each item. Every nation in the civilized world recognizes the legal stipulations specify an exact and permanent record. An Attractive carrying case which will keep your Notary seals like new. Mark Maker's new pre-inked stamp is designed for Name and Address stamps and Notary stamps.The self-contained dust-cover and compact low profile make the Mouse Print the ideal transportable stamp. Taking its cue from the ergonomic friendliness of the computer "mouse", the Mouse Print readily fits into the palm of your hand. Mark Maker's conventional pre-inked PS stamp has long been a favorite choice among professionals for its clean sharp impression, thousands of images and modern appearance. The ergonomic design, easy grip handle and upright profile combine for a user-friendly solution to the notary's need for an effective verification stamp. Added convenince for practicing Notary. No need to type on the notarized document. Added Convenience to your notarial duties. No need to type "Subscribed and sworn before me, ect." on documents. Contains the exact wording specified by law. A valuable time saver. Adding convenience for the practicing notary. Required when a Notary Public supervises the making of a photocopy of an original document and attests to the trueness of the copy. No need to type on the notarized document.